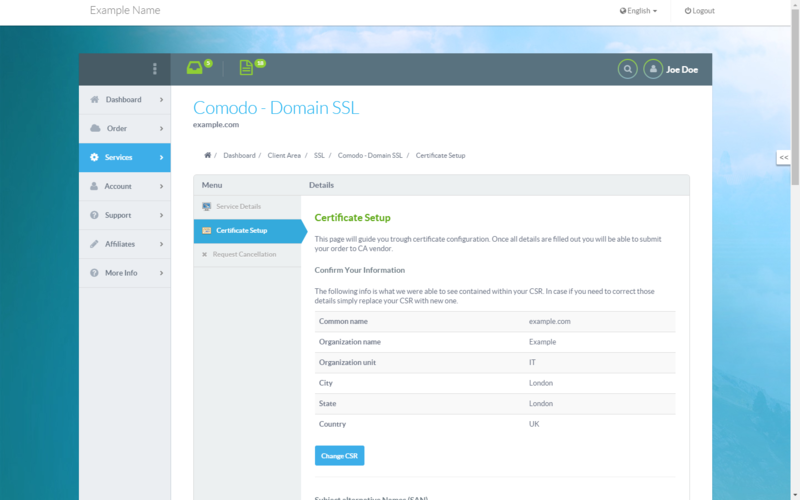 Comodo SSL is a global provider of computer software and SSL digital certificates. 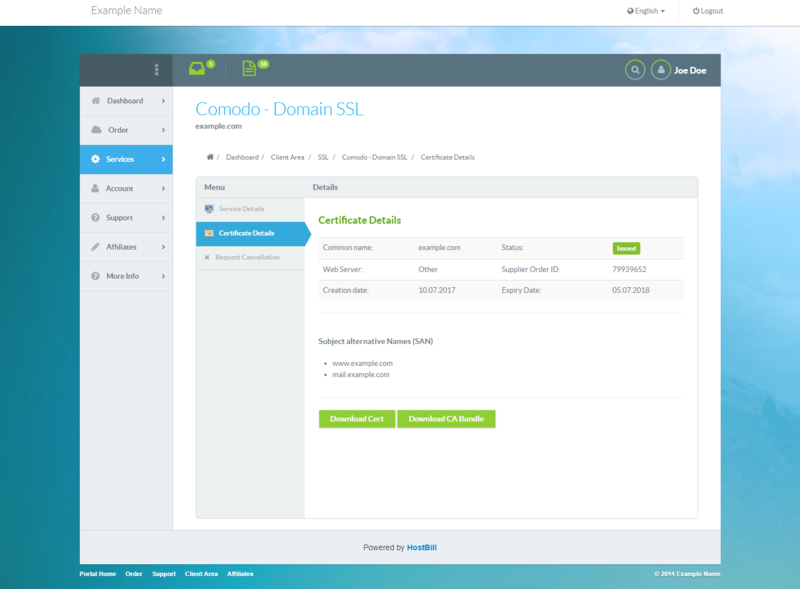 Comodo module for HostBill allows to download and sell SSL certificates from Comodo. Thanks to automation features provided by HostBill, the certificates are issued, synchronized and renewed automatically. 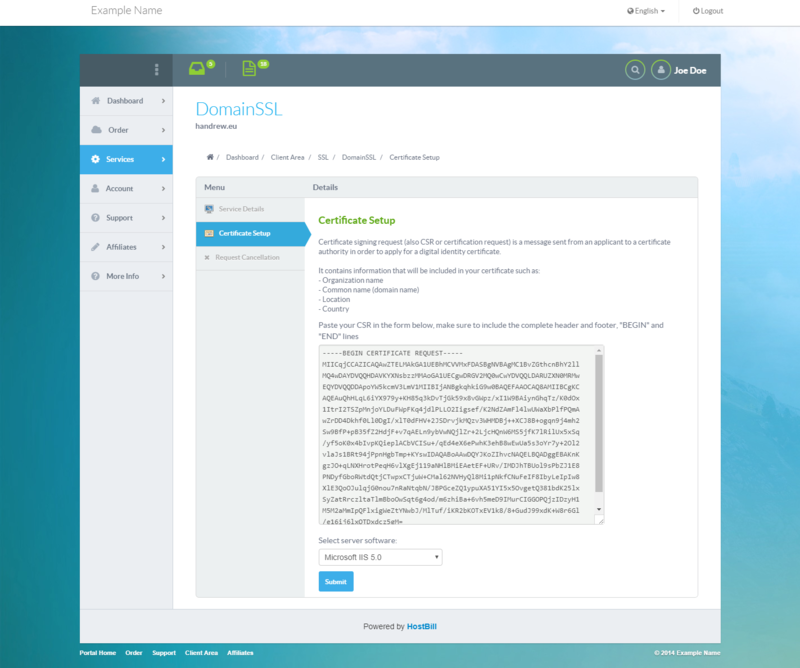 The customers can enter Certificate Signing Request, get certificate status and renew the certificate directly from intuitive client area, as well as select and resend the approval email. 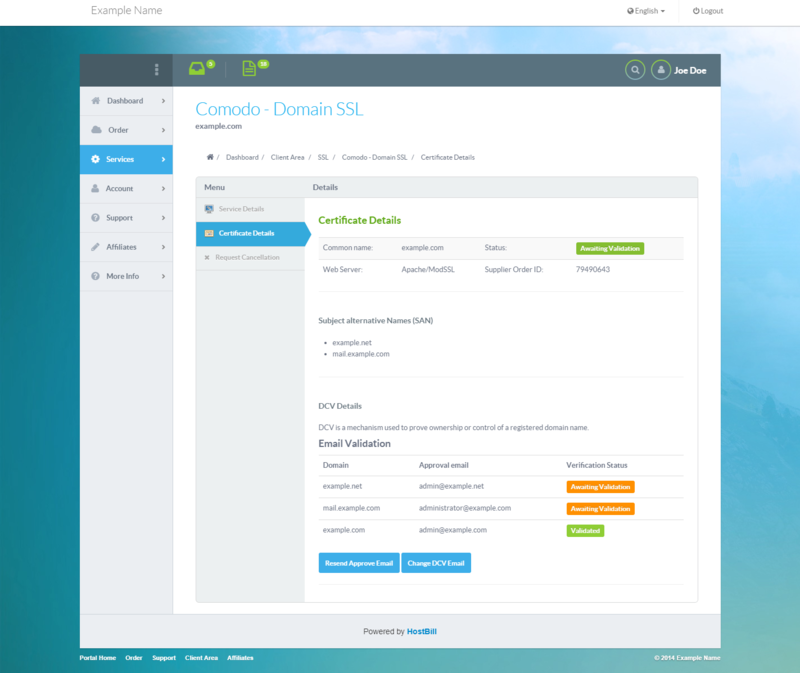 The admin panel's advanced options allow to manage billing details and control account lifecycle. 2018-04-09 - Fixed: Client area suggests wrong DNS record type for validation. 2018-04-09 - Fixed: Client area shows outdated location for validation file.